At Thomson Dodge Chrysler Jeep Ram you can find inventory of all the latest models. The helpful staff at Thomson Dodge Chrysler Jeep Ram are eager to service the community of Harlem and would like to have the chance to help you find your dream car. Want to take a spin in a new or used Chrysler Dodge Jeep Ram vehicle on the roads of Harlem? Our website can help you get what you want. We understand everyone has different needs of their day-to-day driving, and so we stock a variety of vehicles to ensure you find the one of your dreams. Shopping for a used vehicle in Georgia? 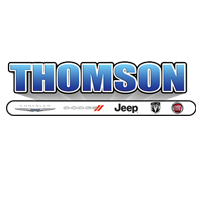 Thomson Dodge Chrysler Jeep Ram is the only place you’ll need to visit. With a wide selection of affordable, high-quality vehicles, we’re sure that we can find a used car that suits your tastes. Everyone should be able to afford a vehicle that supports them, and Thomson Dodge Chrysler Jeep Ram is dedicated to making that happen. Begin the process of applying over the internet with our secure finance application form. When we receive your application, we’ll look it over and one of our friendly staff will contact you as soon as possible. For folks looking to keep their Chrysler Dodge Jeep Ram vehicle running as if it was new and live near Harlem Georgia then please consider bringing it by Thomson Dodge Chrysler Jeep Ram’s repair center. We also offer certified parts to customers in the Harlem area so that you can keep your vehicle running at its best. If you’d like to arrange an appointment with our service staff you can do so by creating a vehicle service appointment here on our site. Harlem is a beautiful city in Columbia County, Georgia, and is a part of the Augusta, Georgia metropolitan area. Harlem is proud to call itself the home of iconic comedy duo Laurel and Hardy. If you are a comedy fan, or appreciative of the early days of film, a voyage to the Laurel and Hardy museum is sure to please the whole family. Historical features you will find in downtown Harlem include locally-owned restaurants and shops, as well as family friendly neighborhoods and a small hometown feel that you would be hard pressed to find anywhere else.